We would like to express our sincerest appreciation for the trust you have placed in us. Thank you for giving us the opportunity to serve your business. We wish you all great success in 2018! Happy New Year!! 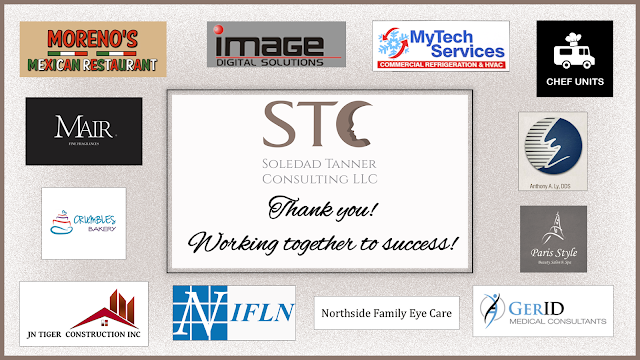 Soledad Tanner Consulting, LLC offers Financial Management and Business Consulting. We support businesses, professionals, and corporations to grow efficiently and obtain higher profitability and productivity. Our consulting solutions are: Financial Management, Business Consultancy and Individual Solutions.